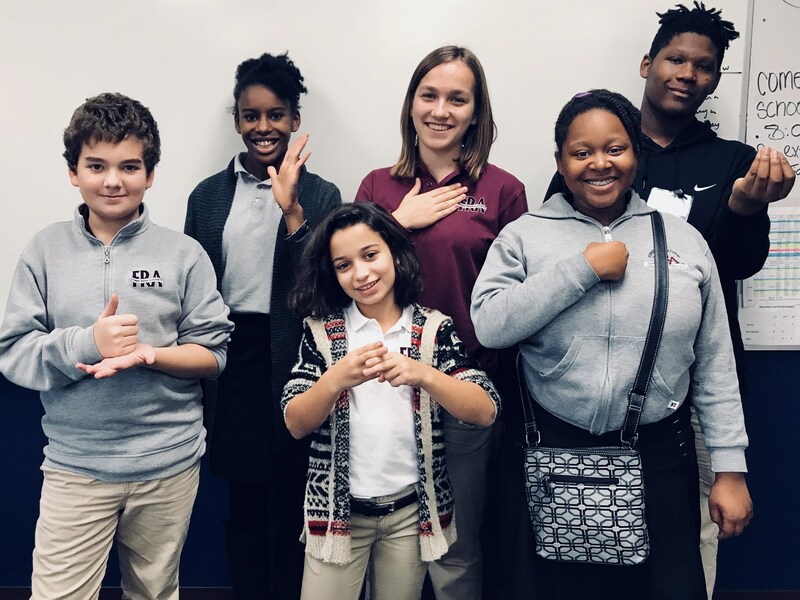 ﻿With a goal of fluency by the time a child graduates from Forest Ridge Academy, the Middle School Program provides numerous opportunities for students to become more immersed in Sign Language and Deaf culture. As a capstone learning experience, students will not only learn the role of a Sign Language Interpreter, but they will have opportunities to practice interpreting themselves! ﻿Middle School students officially enter a traditional Spanish 2 high school curriculum. These students will learn and understand various verb tense conjugations, language structure rules, and will speak and translate at a more fluent level.